Prime Minister Imran Khan has said that accountability and meritocracy are the hallmarks of a successful democracy, adding that every leader will now be answerable to the public. 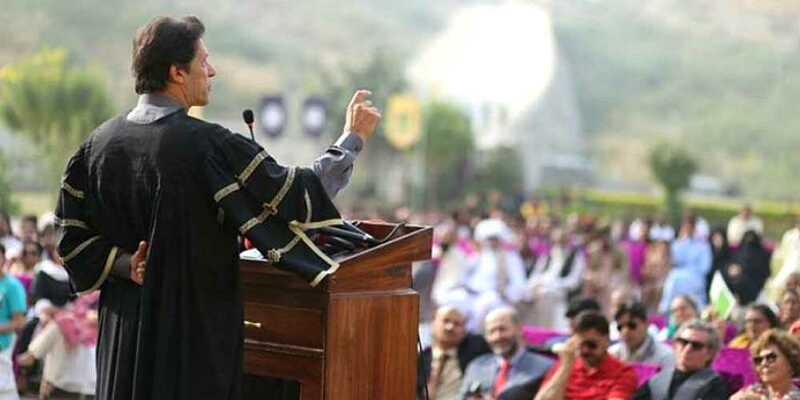 Addressing the sixth convocation ceremony at NAMAL College Mianwali, the premier highlighted the merits of a democracy and said no country in the world had progressed without accountability and meritocracy. Criticizing the opposition leader, the prime minister said Shehbaz Sharif used derogatory language against the Punjab chief minister. The prime minister announced that modern technology, especially in agriculture, will be introduced in the country for sustainable development.